Last weekend Egypt Sherrod, V-103 Atlanta radio personality and host of HGTV’s “Property Virgins”, joined forces with Clark Atlanta University (CAU) and the Women’s Empowerment Conference to host an all-female overnight empowerment boot camp for more than 150 women ages 18 to 50. 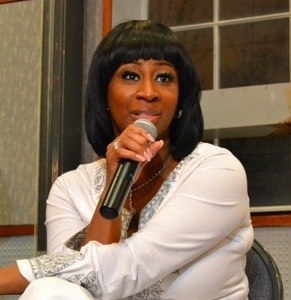 The women discussed the spirit of sisterhood and creating an environment of love and acceptance for one another, while dissecting self-destructive issues such as jealousy and self-hatred that hold women back from happy, fruitful lives. Special guest speakers included reality stars Towanda Braxton, Nicci Gilbert, Mimi Faust, Syleena Johnson, Ivy Couch and Pastor Domonique; V-103 and WAOK radio personalities Egypt Sherrod, Mo Ivory, Jean Ross, Princess Monique and Kendra G; a keynote address by Charmaine Ward, director of community affairs, Georgia-Pacific; OB/GYN Dr. Tosha Rogers-Jones, dentist Dr. Heavenly Kimes and psychologist Dr. Judi Lee Webb; motivational speaker Terra Wallace, celebrity talent managers Amber Noble-Garland and Deb Antney, publishing executive Yvette Caslin, singer/actress Jade Novah, aesthetician Venus Simmons, celebrity hair and makeup artists Bridgit Crider and Sandye Lomax. 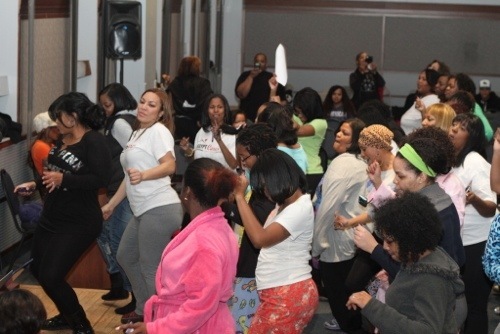 Guests of the ‘Sister’s Keeper Shut-In’ were treated to a series of seminars and presentations as well as complimentary meals, massages, makeup tips, a workout session, games, contests, karaoke, line dancing and more! Participants were given a front-row seat to candid conversations about the work that needs to be done to improve how black women treat each another, and the need to show more acceptance, love and solidarity toward one another. 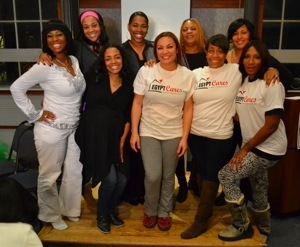 There were candid discussions about fitness, feminine hygiene, sexual health, oral care and mental/emotional well-being. 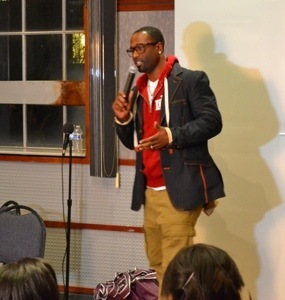 The audience also enjoyed a spirited and no-holds barred conversation about matters that continue to be hot topics such as lighter skin/darker skin, and why by-and-large we still have a hard time moving past that issue. The shut-in also included a frank forum that dissected the “over the top” way certain black women present themselves on various reality TV programs, and called to the carpet whether or not that portrayal is an accurate reflection how the majority of black women truly want to be perceived.